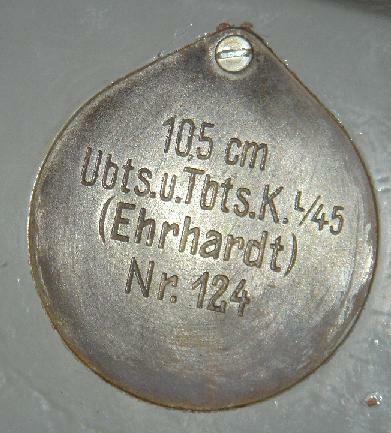 10.5 cm Ubts.u.Tbts.K. L/45 from U98 now at the Imperial War Museum in London, UK. Note the horizontally sliding breech block and top-mounted recoil cylinders. Photograph copyrighted by Vladimir Yakubov. 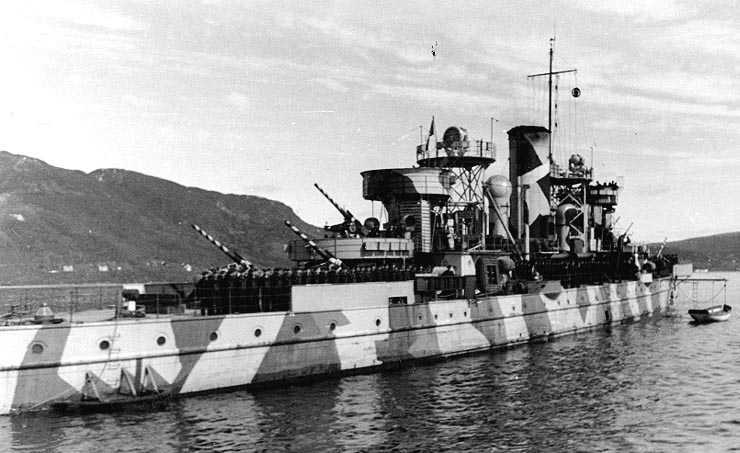 This weapon armed most cruisers built in the early 1900s, with 125 guns manufactured during that time. During World War I, additional guns were built and used as AAA weapons. Late in the war some destroyers and submarines were also armed with these weapons. During World War II, most surviving guns were altered to take the same ammunition as the 10.5 cm/45 SK C/32 and they were then used on U-boats and small combatants. Guns so modified added (n R) [nachgebohrte Rorhe - "improved drilled barrel"] at the end of their designations, such as 10.5 cm SK L/45 (n R). This data is for performance during World War I. For performance during World War II, see the 10.5 cm/45 (4.1") SK C/32 data page. During the Falklands Battle of 1914, these 10.5 cm (4.1") guns on SMS Nürnberg significantly outranged the 6"/45 (15.2 cm) guns on HMS Kent. Likewise during this same battle, the 10.5 cm (4.1") guns on SMS Leipzig outranged the 6"/50 (15.2 cm) guns on HMS Glasgow. However, the heavier British shells with their Lyddite bursters were much more effective than the lighter German ones. 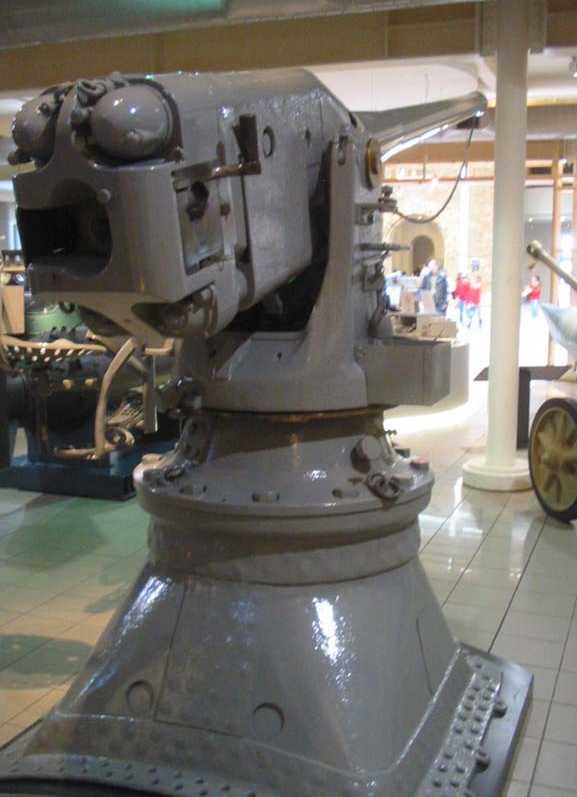 Some torpedo boats replaced their 8.8 cm/45 guns with these more powerful weapons starting in the summer of 1916. A few Reichsmarine torpedo boats were rearmed with these guns in 1921. Identity Plate of the weapons pictured at the top of the page. Photograph copyrighted by Shane Rogers. Light Cruiser Cöln-II in 1918. German AA Ship Nymphe (ex-Norwegian Tordenskjold) during World War II. I believe these to be 10.5 cm Flak 45 guns. U.S. Naval Historical Center Photograph # NH 71445.